Your privacy at Bunker 8 is important to us, and we are committed to protecting your information. In this policy, we are letting you know about the ways we collect and use your information, so you can make an informed choice regarding whether you will visit this website. We collect your name and email when you subscribe to our email newsletter. When you order a product on this site, we collect your name, email address, mailing address, phone number, and credit card information. If you pay for the product via PayPal, your credit card information and banking account information will be held by PayPal, and we do not have access to those numbers. 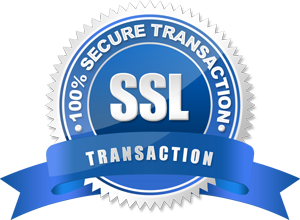 We use various security measures to maintain the safety of your personal information, including hosting your name and email using a password-protected, secure service, and using a secure payment processing system to process your transaction. This service keeps your information confidential, will not sell or share your information, and will not contact you directly. We will not trade, share, or sell your information to any other company, except that we do share your information with particular third parties who assist us in taking care of you (such as the email hosting service above). These third parties all agree to keep your information confidential. We will also release your information as required by law and if necessary to protect our legal rights and to comply with a judicial proceeding or court order.